As people age, it isn’t uncommon for the number of prescriptions they need to take to stay healthy to increase. As you can imagine, as a concerned caretaker making sure that your loved one is taking all of their prescriptions at the right times and in the correct doses is critical to helping them maintain optimal health. Without an accurate way to track and manage medications, you risk the chances of missing doses or taking too many pills. For older adults who are taking multiple medications, it’s imperative to understand how these drugs interact with one another to avoid further health complications. If your elderly loved one takes several pills at once, possible drug interactions could result in an accidental overdose. Even more worrisome is if your loved one mixes prescription pills with the use of alcohol. To assure that your loved one takes their medicines as directed, it’s up to you to plan and take precautions to ensure that no mix-ups occur. Knowledge is power when managing the medications your loved one takes, and your loved one’s doctors and pharmacists are great resources to have on your side. If you have any questions or concerns, both of these professionals should be able to answer your questions and address your concerns. Further, they should be able to review your loved one’s current prescriptions to be certain there are no potentially dangerous drug combinations. After you’ve reviewed all of the medications, the next step to organize how they are to get distributed. 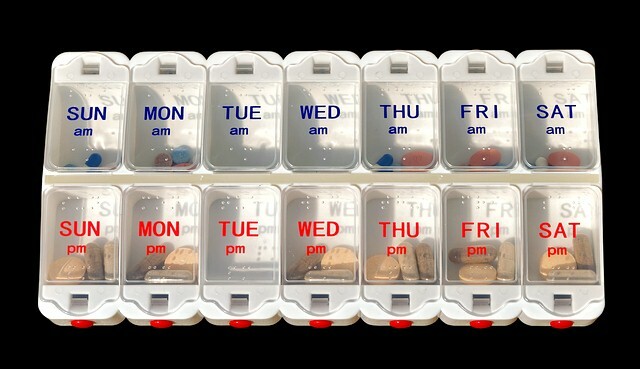 One option is by using a clearly labeled pill dispenser that allows you to distribute all their needed medications for an entire week. Another option is to invest in multicolored bottles that are labeled with the directions for taking the pills. For safety, always be sure to label these bottles clearly to avoid any confusion. You’ll also want to be sure to track all medicines and expiration dates so you never miss a refill. These days, online pharmacies or reorder services make refilling a more seamless process than ever before, but always do your research to make sure that the vendor is legitimate. If you could use a little extra help managing the prescriptions your loved one takes, Aloha Hab is here to help with home health care, respite and chore services in Hawaii that you can depend on. Contact us today to inquire about our elderly care services.